The Nintendo Switch has definitely lived up to its promise of delivering console quality games on the go. With games like Super Mario Odyssey and Pokemon Let’s Go showcasing the Nintendo Switch’s potential, gaming on the portable powerhouse is nothing short of magical. 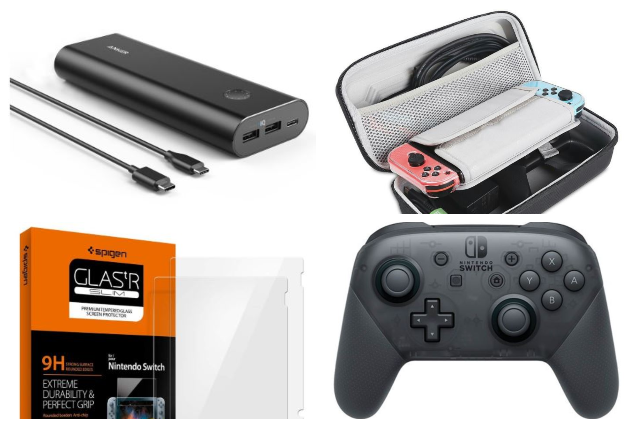 To help you maximise your gaming experience and get the most from your Switch, here’s our roundup of the best Nintendo Switch accessories on the market! Sometimes, Joy-Cons don’t cut it. 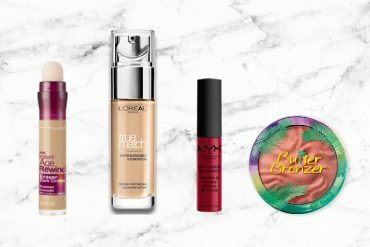 Yes, they’re great for quick sessions or for a party at your friend’s house. 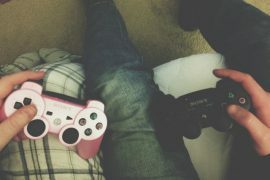 However, when you’re gaming at home, it’s a whole other story. Cramping your hands on a tiny Joy-Con can be difficult when you’re trying to input a complex command or gaming for hours on end. Enter the Nintendo Switch pro controller: a premium addition to any Switch set-up! With its USB-C port, NFC capabilities and pinpoint controller accuracy, the Switch pro controller joins our list of essential Nintendo Switch accessories, especially for anyone missing the comfort of gaming on the PS4 or Xbox One. 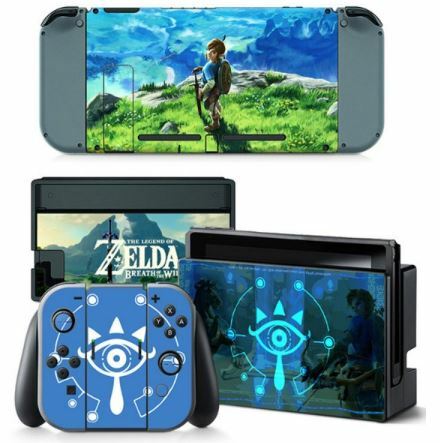 For owners looking to personalise their Switch consoles without spending a fortune on neon-coloured Joy-Cons, why not consider buying Switch skins! Available in a wide variety of designs and colours, Switch skins help differentiate your console from the pack and allow you to express yourself. The best part is Switch skins are easily removable and leave no sticky residue, allowing you to buy new skins and replace them at a whim. With the Nintendo Switch’s extensive digital library and massive game installation sizes, 25.9GB of accessible internal memory isn’t going to be enough. 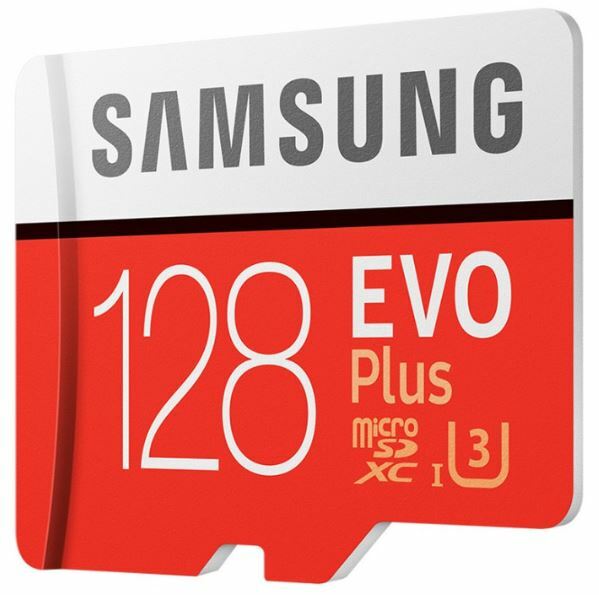 Unless you’re constantly deleting files to free up space, you’re better off buying Micro SD cards for your Nintendo Switch! 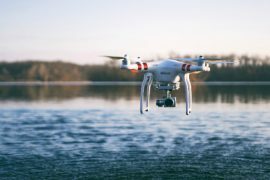 Given that games like DOOM and L.A. Noire have file sizes of more than 20GB, you should consider buying one with a larger capacity to accommodate these games. With more blockbuster games releasing, Micro SD cards are slowly becoming must-buy Nintendo Switch accessories! Unfortunately, the Nintendo Switch’s battery lasts six hours, which may be much lesser if you’re playing graphically-intensive games. 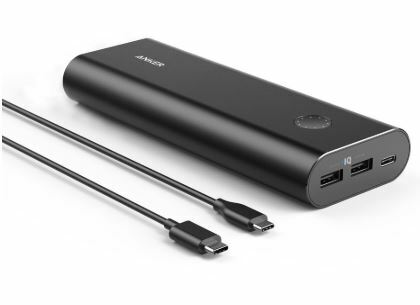 Thus, it’s safe to say that you’ll need USB-C power banks to supplement your gaming time if you’re outdoors. Our recommendation would be to get the Anker PowerCore 20100. With its giant 20100 mAh capacity, you’ll never need a wall charger again as your playtime will be boosted by 15 hours! Additionally, it can fully charge your Switch’s battery in three hours while you’re playing, making this one of the most handy Nintendo Switch accessories. 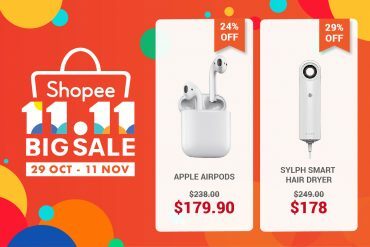 Need more power bank recommendations? Read up on our guide to the best power banks for more information! It’s unfortunate that the simple action of removing a Switch from its dock and putting it back in can cause scratches on your screen. This combined with the Switch’s portability makes Switch screen protectors necessary when considering essential Nintendo Switch accessories! While there are plenty of screen protectors on the market, we’ve decided to recommend the one by Spigen! 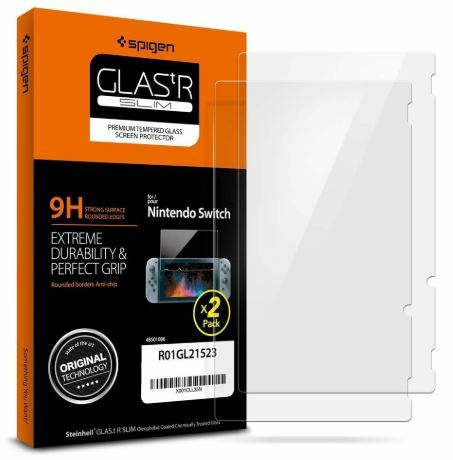 Known for its smartphone cases and screen protectors, Spigen’s tempered glass screen protectors possess hardiness and a quality build, ensuring that your Switch’s touchscreen responsiveness and brightness is unaffected. 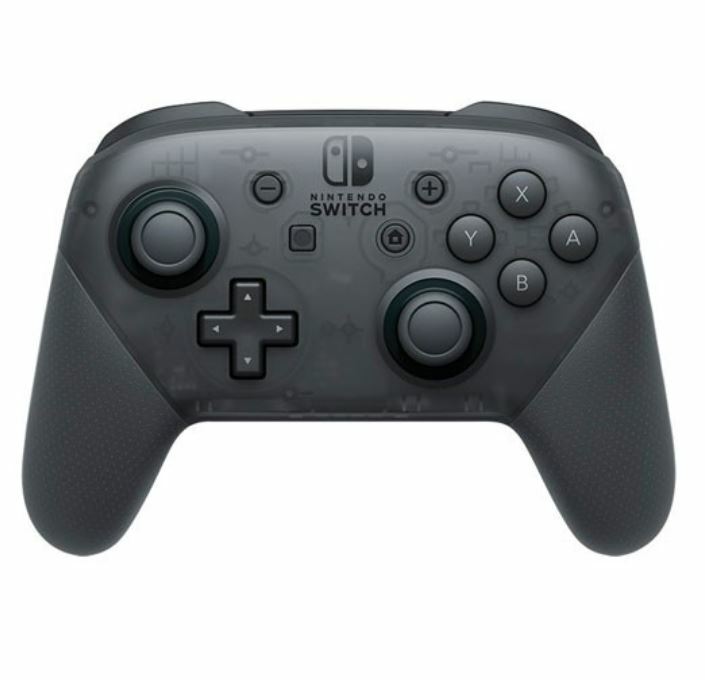 Scared off by Nintendo’s pricing for the Switch pro controller but dying to play your games on a more sturdy controller? If you own a spare Xbox 360 controller or DualShock 4, they’ll pair nicely with your Switch because of the 8BitDo wireless bluetooth adapter! Additionally, 8BitDo has plans to support their bluetooth adapter in the long run by updating the software so future controllers can easily pair with your Switch. 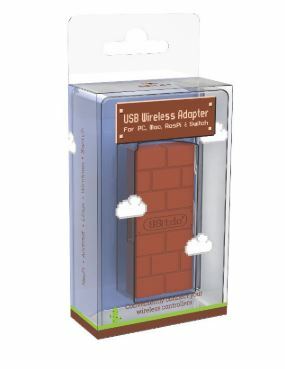 This forward-thinking implementation and seamless pairing makes these bluetooth adapters must-own Nintendo Switch accessories! If you’re planning to take your console to house parties and gatherings, extra Switch Joy-Cons are definitely essential Nintendo Switch accessories! Welcome two more players to the fun as split-screen races on Mario Kart 8 and casual minigames on Super Mario Party become more exciting. 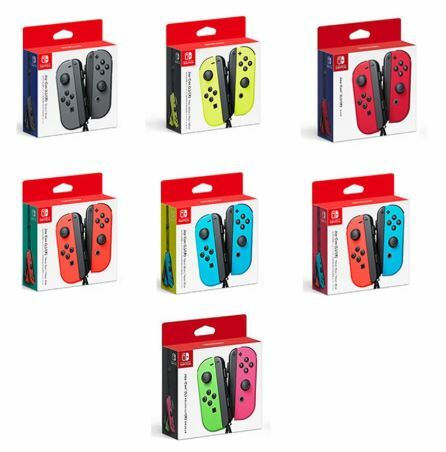 Additionally, it doesn’t hurt to have extra aesthetically pleasing Joy-Cons as Nintendo continues to push them out with vibrant colour schemes! 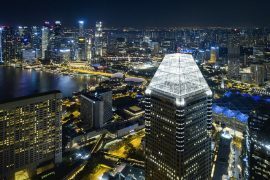 If you’re going abroad, you’ll probably have plenty of down-time while commuting. Why not bring your Nintendo Switch along for some in-flight entertainment? 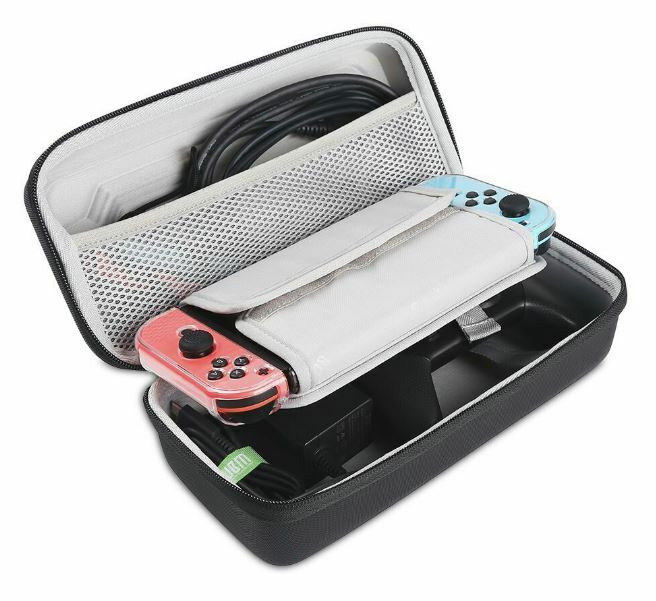 Thankfully, Switch casings exist so you can protect your precious console from hard knocks while storing all your Switch necessities in one convenient bag! BUBM’s hard case possesses a hard EVA shell and large mesh pockets so you won’t have to worry about dropping your Switch or the inconvenience of transporting all your Nintendo Switch accessories. Its insides are fitted with anti-scratch materials so you can fit various accessories like a Switch pro controller or power bank. Although the Nintendo Switch is often lauded as an innovative handheld console, it’s not free from design flaws. This includes the tabletop charging, where its flimsy kickstand prevents you from charging the Switch because the USB-C port is on the bottom edge. 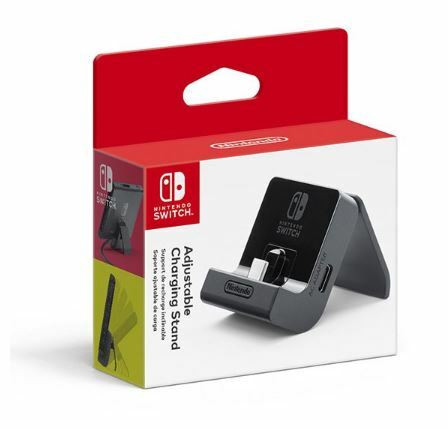 While there’s plenty of charging docks on the pocket, Nintendo have remedied the problem by releasing their own adjustable charging stand that comes with a sturdy kickstand so it can be set at any preferred angle. Setting up is simple too as you can just plug in the AC adapter into the stand! Upon checking off this list of essential Nintendo Switch accessories, you’ll have all that you need to optimise your gaming experience! Nee some recommendations for Switch games? Check out our list of Switch party games so you can liven up any gathering! Also, if you’re still on the fence and are wondering how the Switch stacks up against its competition, read our console comparison article to help you decide what’s the best gaming console on the market!